Soap sticks lowered to $23. 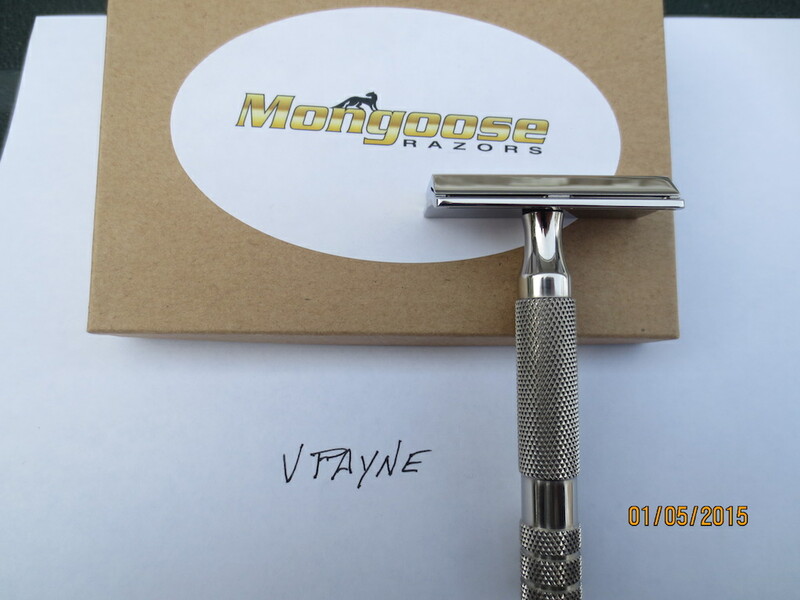 SOLD: Mongoose razor-mirror finish w/Ikon 2 handle, which I think is a perfect combination. No issues at all-from batch 2. $165 w/priority shipping included. It didn't pull me away from my Cobra. 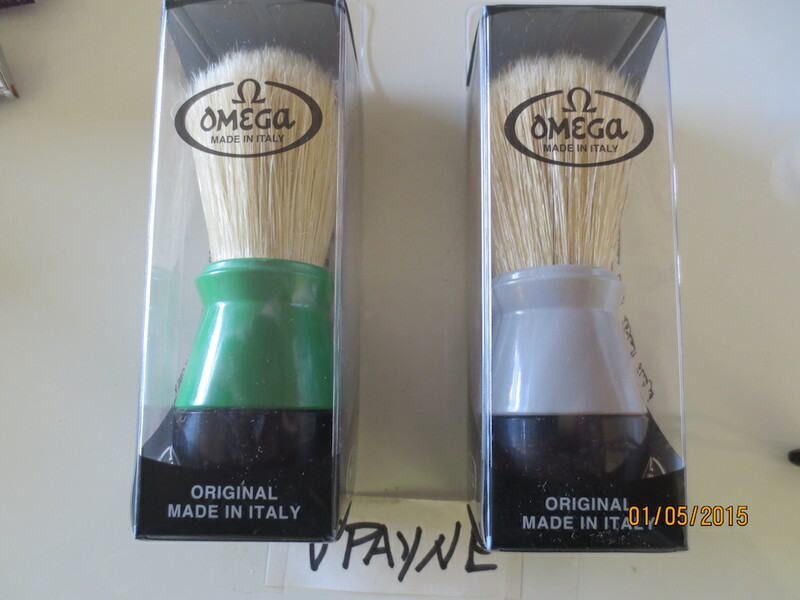 SOLD: Next is a couple of Omega boar brushes-26-27x55mm. I used the green one 1 time and the grey is unused. I prefer these of most others. $10 ea or $16 for both shipping included. 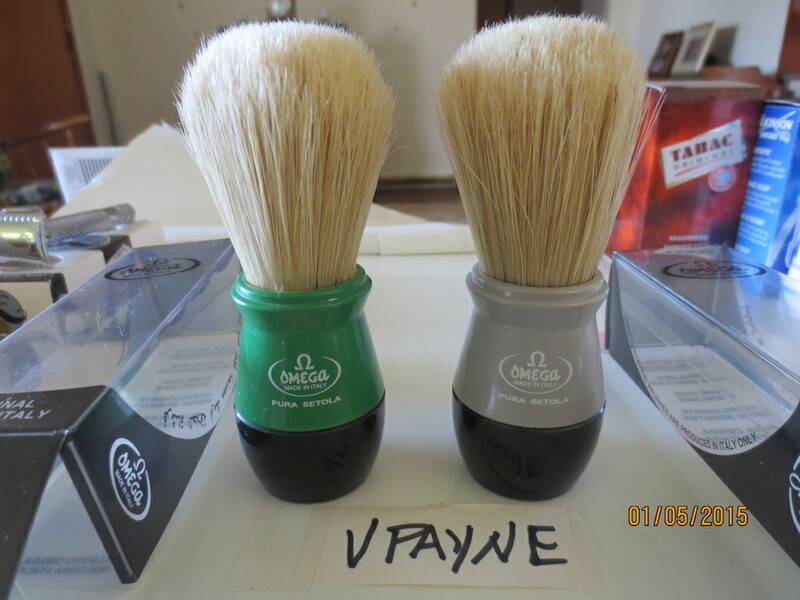 Next is a bunch of shave sticks. I used the Tabac and Lea 1 time each. The rest are unused. 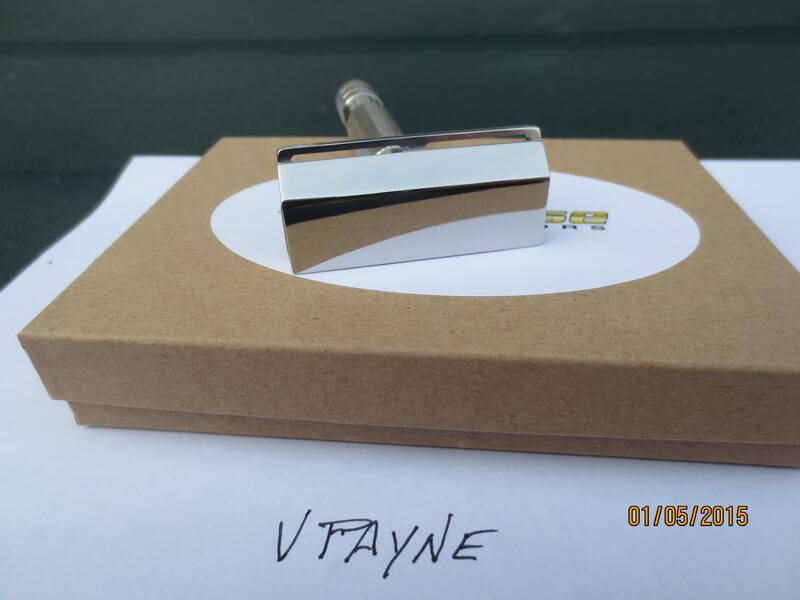 Lowered to $23 shipped. They weigh over a pound so shipping will be higher. 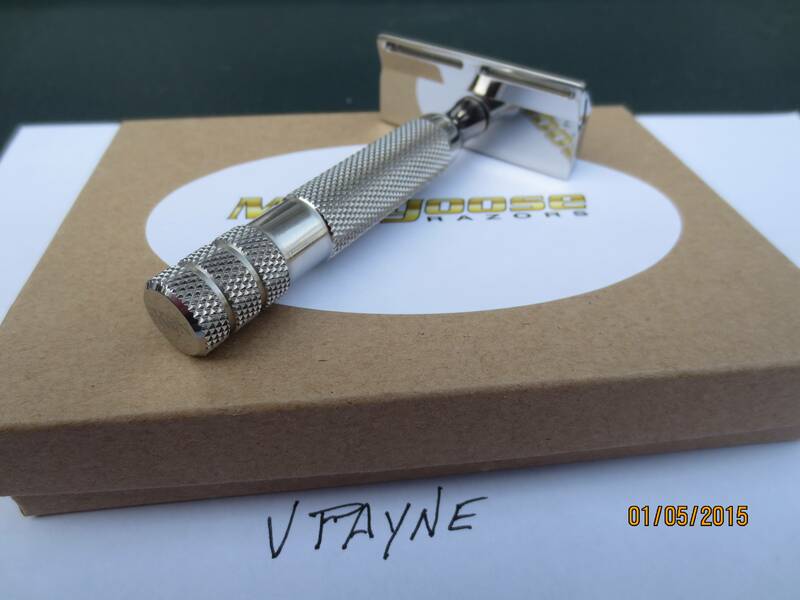 SOLD: Maggard razor head only. Exc condition. This is a surprisingly good shaver. 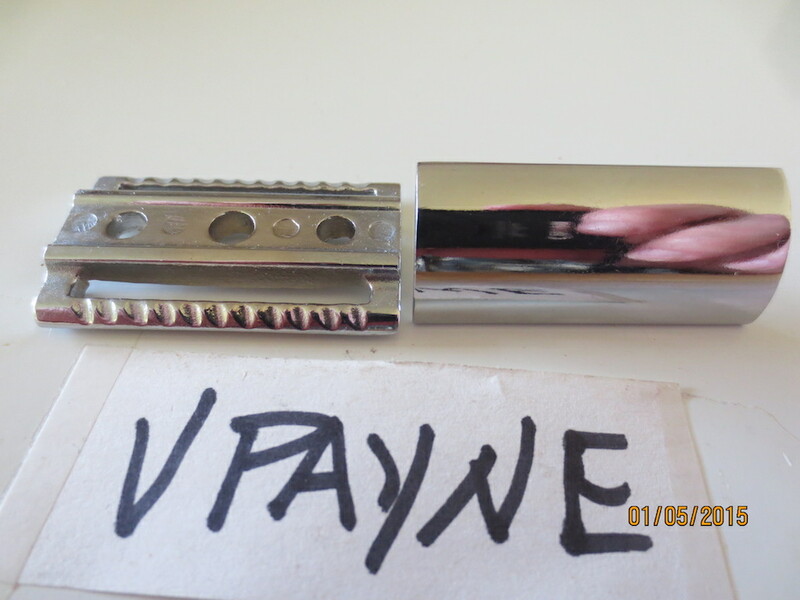 $12 shipped. WOW! 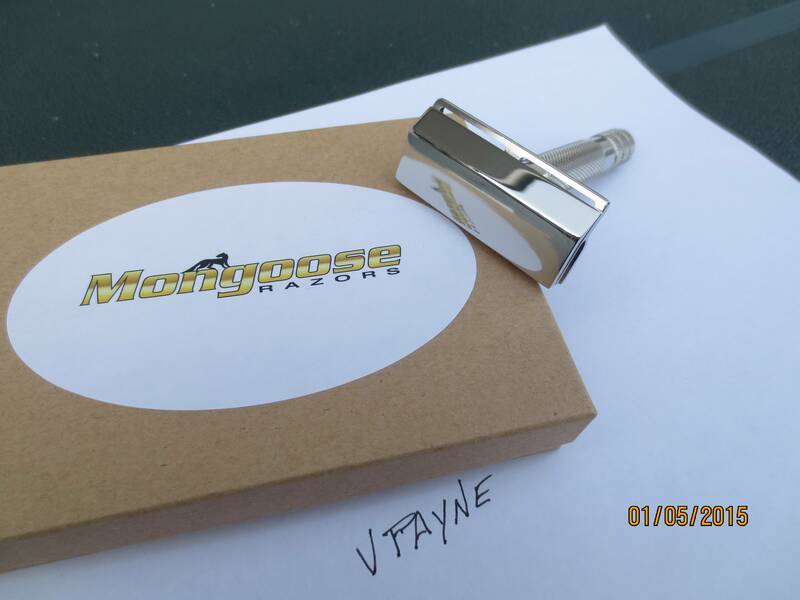 These Mongooses are hitting the BST like hot cakes lately! 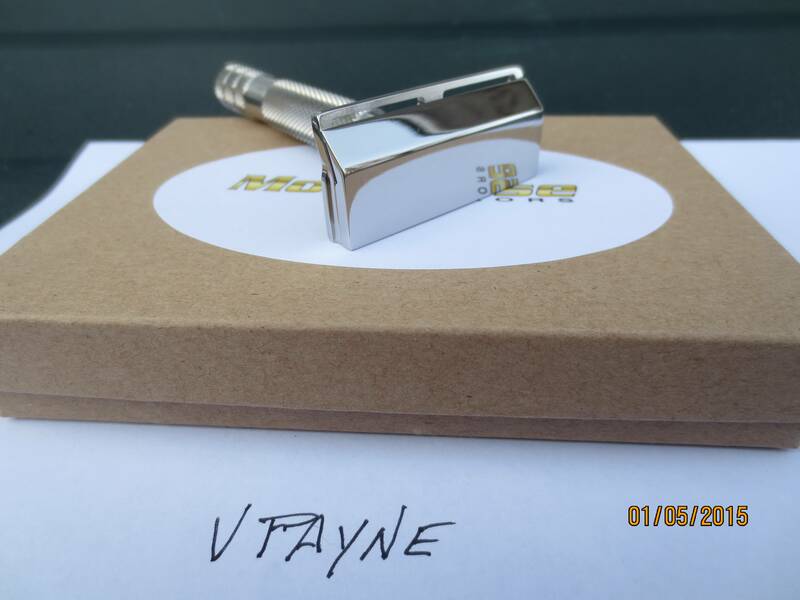 When a couple thousand new-to-market razors sell in a short period, some are bound to get flipped. Wow!!! I am shocked that the Mongoose is not sold, yet. Soap sticks are still available. 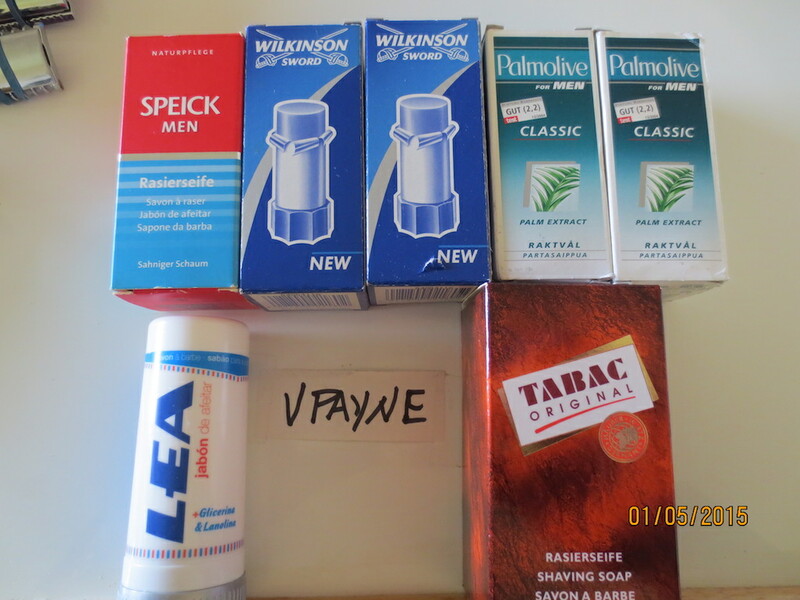 That Palmolive stick one of the best.